Imprinted small shopping bags have matching twisted handles. These small paper shopping bags are ideal for small items and products. Paper shopping bags are made of white Kraft 100% recycled paper. 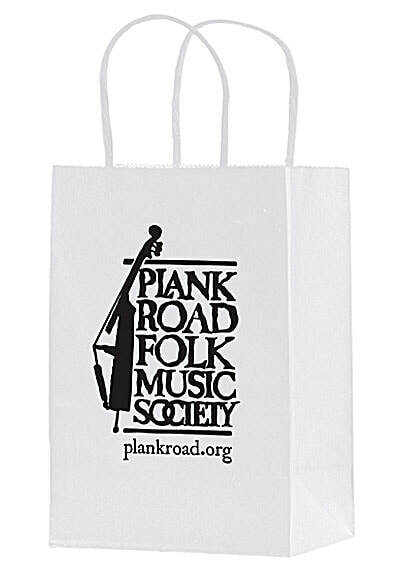 paper shopping bags have an imprint area for your printed advertising message or logo. Made in the USA.